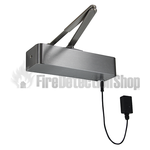 The Fire Detection Shop provide a range of responder fire door closers that use a revolutionary electromagnetic system to hold fire doors open while releasing instantly in the event of a fire alarm activation. 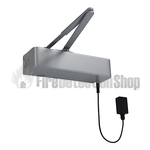 Eliminating the problems with traditional hydraulic door closers the Responder 24 is a universal fitting unit, which can be left or right handed, the unit also has an easy to replace power loop. The responder can be purchased in either silver or satin nickel. 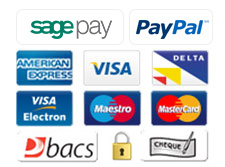 You can also purchase the responder 24 replacement door loop.